James “Woody” Woodruff was born in Wolfe City to Addison and Lillian Woodruff, the oldest of their three children and only son. At the young age of 12 years old, Woody dedicated his life to the Lord. He graduated from Wolfe City High School in 1937 an attended Draughon’s Business College in Dallas. On October 6, 1940, Woody married the love of his life, Mildred Lucille Proctor, at the Grace Presbyterian Church in Greenville. A few months after the bombing of Pearl Harbor, he enlisted in the US Army Air Forces serving three and a half years while attaining the rank of Sergeant. Following his military service, Woody worked for Montgomery Ward as manager of stores in Beeville, Tyler, and Corpus Christi. in 1954, Mildred and Woody moved back to Wolfe City where they owned and operated Woody’s Food Store and were co-owners of Mr. Minit convenience stores in Commerce. In 1964, Woody went into partnership with his son Jim and together they owned Woody’s Superette convenience stores. 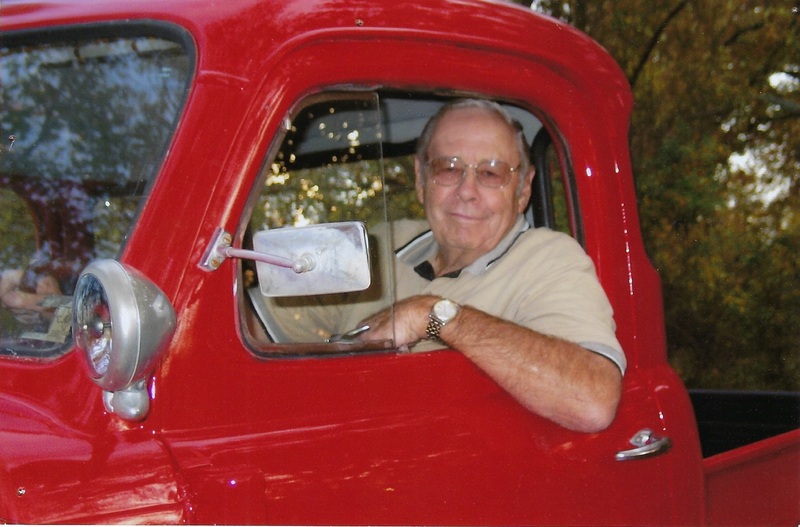 Woody’s businesses served many communities and counties for more than 48 years. He was also very active in business and civic organizations in Wolfe City and around Texas. Serving as a Board Member for the Texas Retail Grocers Association, North Central Texas Food Industry, Affiliated Food Stores, Kiwanis Club, Chamber of Commerce, Wolfe City School Board, Mount Carmel cemetery, Salvation Army and Wolfe City National Bank. Woody was the first President of the Webb Hill Country Club Charter Board, which received one of the first government matching grants for rural golf clubs in the US. Before and after retiring, he walked the course and played golf almost every day. Woody and Mildred were lifelong members of the First United Methodist Church in Wolfe City, and he served on local and district boards for the church. He always loved to serve his church and community. He partnered with his son Jon in ministry and one of the highlights of this service was going on a mission trip to Moscow, Russia with Jon and the Josh McDowell Ministry in 1993, where he gave Bibles to Russians who were receiving their first Bible(s) after the fall of Communism. Woody was preceded in death by his parents; sisters, Jeannetta Christine Hale and Dorothy Jean Fulfer; and his beloved wife of 77 years, Mildred Lucille. Burial will be in Mt. Carmel Cemetery in Wolfe City under the direction of R.W. Owens and Son Funeral Home of Wolfe City. I enjoyed working for Woody in Bonham and Leonard. He was always pleasant to be around and I loved his sense of humor. I am sorry for the loss to the Woodruff family and others.